(1994/MOTOWN) 97 tracks, US-Longbox with 60p.booklet & discography. Incl.Hits plus unreleased rarities and first time on album tracks. "Smokey Robinson & The Miracles"
Smokey Robinson had found himself a new songwriting partner. 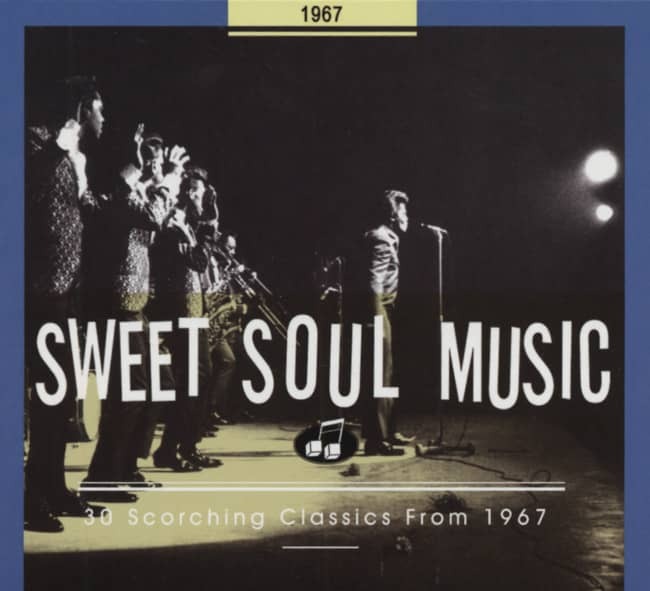 One of his first collaborations with Motown newcomer Al Cleveland (a former member of The Halos, a New York doo-wop group whose Nag was a '61 hit) was yet another smash for Smokey's Miracles, whose non-stop hit streak in 1966-67 had included Going To A Go-Go, (Come 'Round Here) I'm The One You Need, The Love I Saw In You Was Just A Mirage, and the impossibly tender More Love. 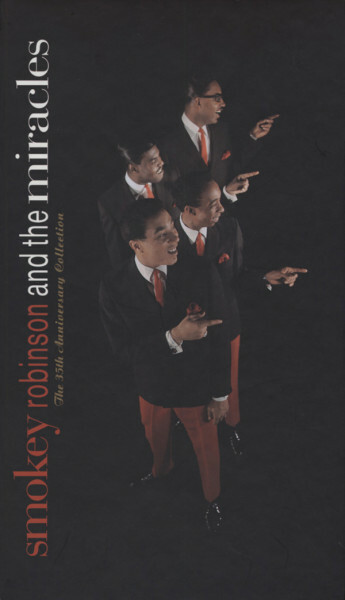 Smokey and Al accidentally stumbled across the clever title of one of the Miracles' top all-time sellers as Robinson tracked down just the right gift for his wife Claudette, who still contributed her sweet harmonies to the group (rounded out by Bobby Rogers, Ronnie White, and Pete Moore) when they entered the studio. "We were Christmas shopping one day in a department store," says Smokey. "You know, there's an old saying, 'I second the motion.' So we were talking to this girl behind the counter about something, and Al says, 'Yeah, I second that emotion!' And we started laughing, because he had made that grammatical error." Thanks to co-producer Cleveland's slip of the lip, that clerk behind the jewelry counter at Hudson's unwittingly witnessed the inspiration for an enduring soul classic. I Second That Emotion was brisk and danceable, with Funk Brother Eddie Willis and The Miracles' Marv Tarplin's liquid guitar runs winding around another sinuous James Jamerson bass line, more sly wordplay from Smokey, and the Miracles' delicious harmonies. It was their third R&B chart-topper (Shop Around and You've Really Got A Hold On Me preceded it) and sailed to #4 pop, the group's highest placement there since their very first hit for the fledgling Motown empire, Shop Around, back in 1961. Kundenbewertungen für "35th Anniversary Collection (4-CD)"